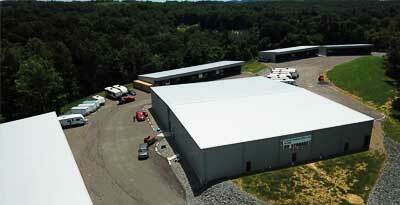 Climate Control Storage Plus has been serving Fairmont, WV’s storage needs since 1993. Our facilities contain over 1000 units. We also offer a variety of U-Haul rentals and packing supplies. If you are looking for a safe, reliable way to store your valuables, consider Climate Control Storage Plus your number one choice. To learn more about our storage facilities, or to rent a U-Haul, contact us today: (304) 534-3333. Storage units are a great way to increase the space you have available in your home or office. We offer storage units in a variety of sizes that are sure to meet your needs perfectly. From standard storage units to climate controlled units that can help protect your antiques, art, documents, and more. If you have an RV and nowhere to store it, look no further than Climate Control Storage Plus. 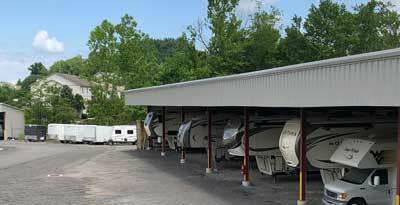 We offer short-term and long-term storage for RVs of nearly any size. Our facility is easily accessible and gates. There is an on-site dump station and water for your convenience. Also, covered bays have available timed electric. Are you moving? Looking for an easy way to get your belongings from your home or office to your storage unit? Rent a U-Haul! Climate Control Storage Plus is an authorized U-Haul rental facility. We have a variety of trucks and trailers available for rental, so no matter how much you need to move, we have a truck size that will meet your needs. We also sell tape, boxes, packing paper, and more to help with your moving and storage.